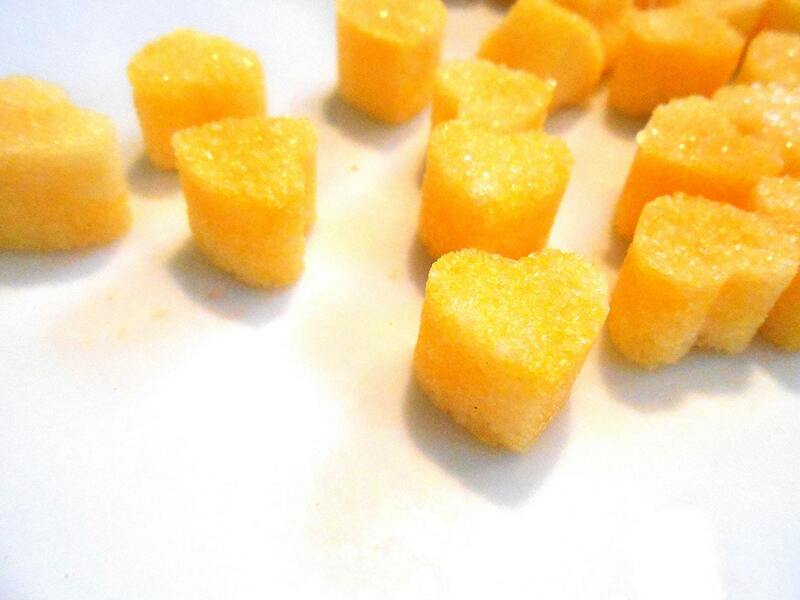 A minimum order is for 3 ounces of these little lemon sugar hearts. 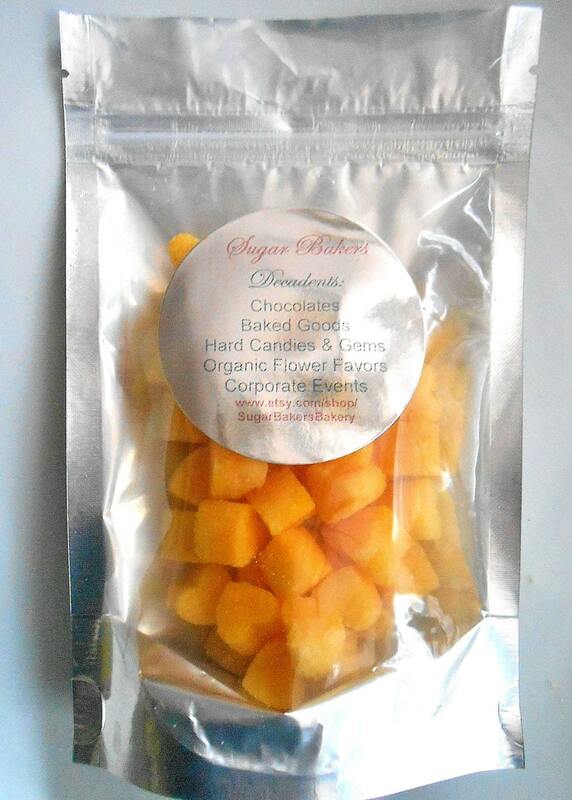 However, if you need a large quantities for an event or favors, just write to me. The more to make the merrier I am. 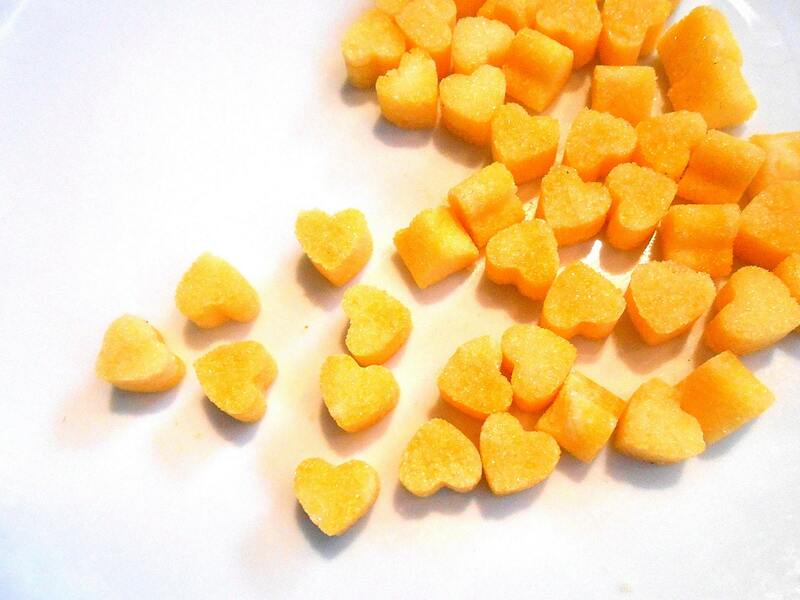 The little hearts shown are a little under the equivalent of 1/2 teaspoon of sugar(but a lot prettier:) They are a great size for those of us who like our tea with a little sweetened lemon. After all, life is too short to not have your beverages taste the way you like them to taste. 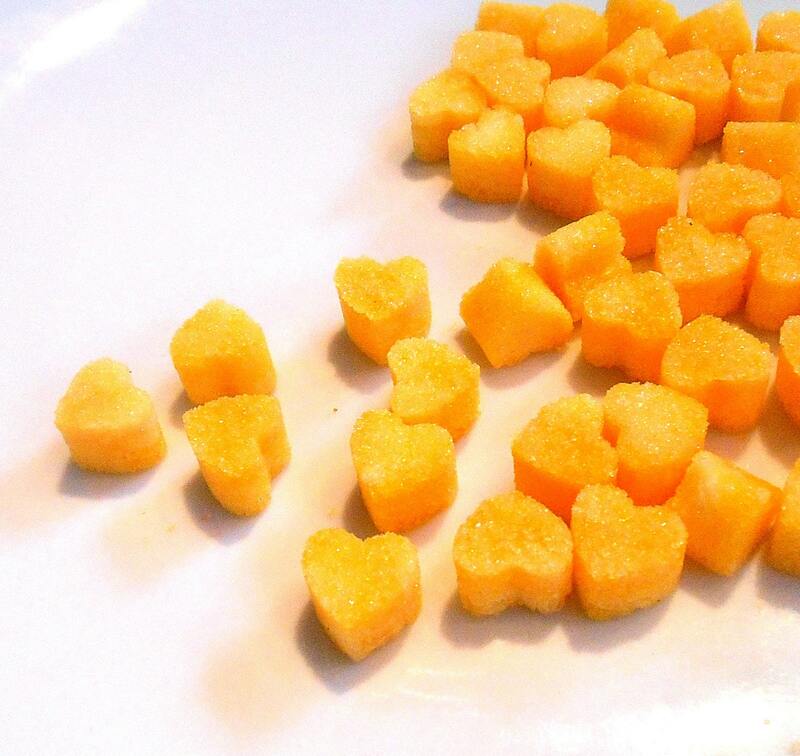 There are approximately 48 to 52 cubes in each 3 ounce bag. red with Watermelon flavoring. They add a little zing to my coffee so I can recommend them. Amaretta and chocolate are wonderful too. I ship them in food quality foil bags shown in the photo that are double sealed to keep the moisture out. 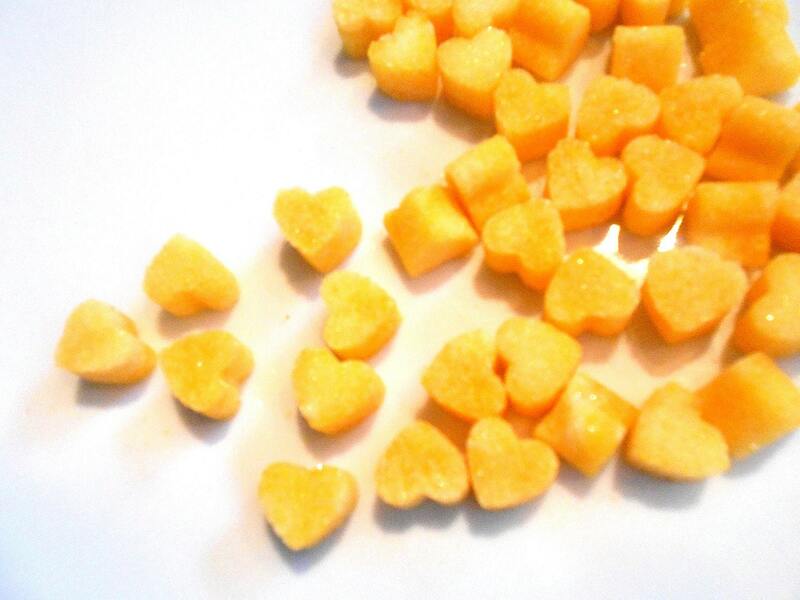 Note: I can make them in any flavor but the color may have to vary. The seller was very easy to work with.